Betty Manygoats is known for distinctive Dine (Navajo) pottery with it’s “folk art” feel to the designs. Around 1978 she began using the horned lizard as a design on her pottery. The scales on the lizards are created using a bobby pin! 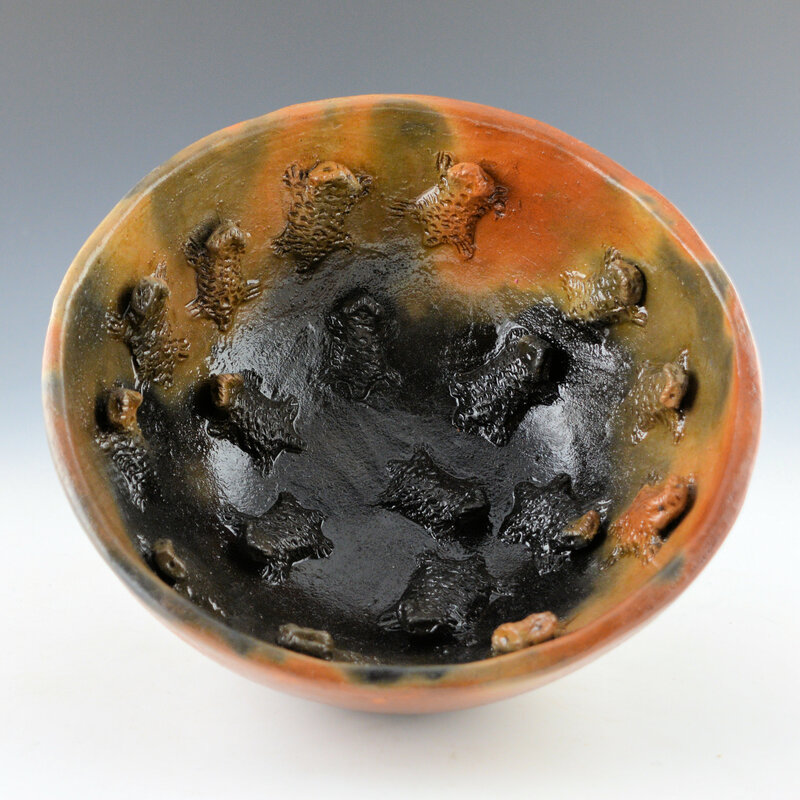 This is one of her classic open bowls with the horned lizards on the inside. There are 18 horned lizards, each one seeming to scale the sides of the vessel! 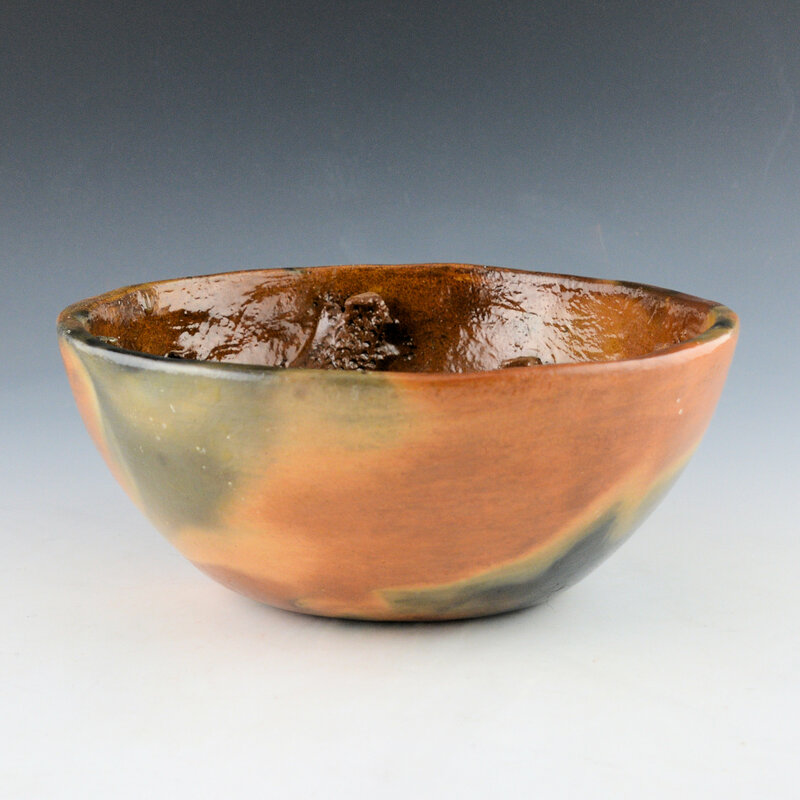 The piece has been traditionally fired and there are some beautiful color variations from the heat of the fire! 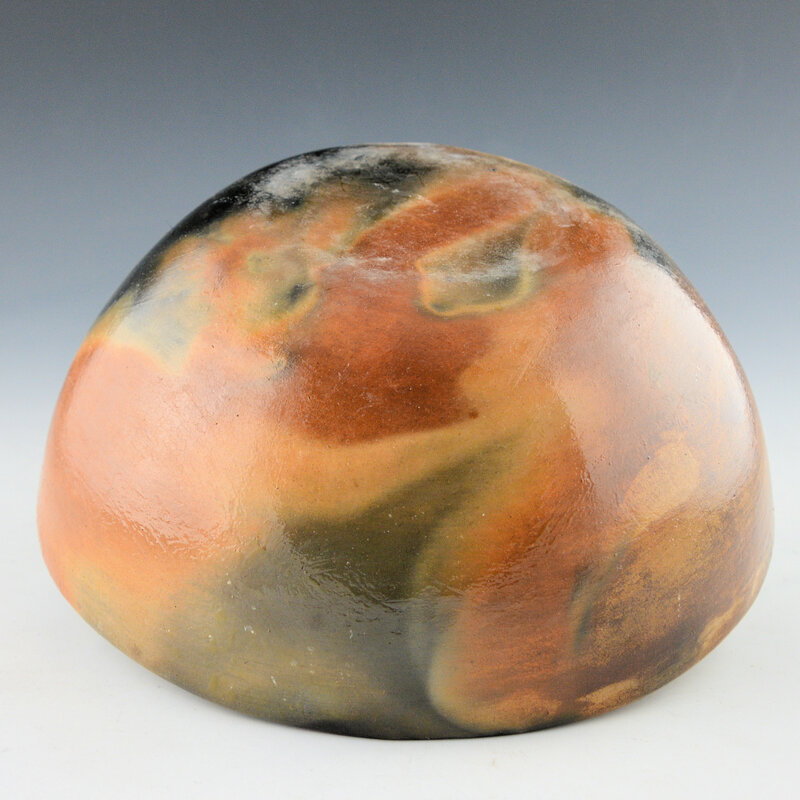 After the vase is fired, it is covered in pine pitch in the manner of traditional Navajo pottery. 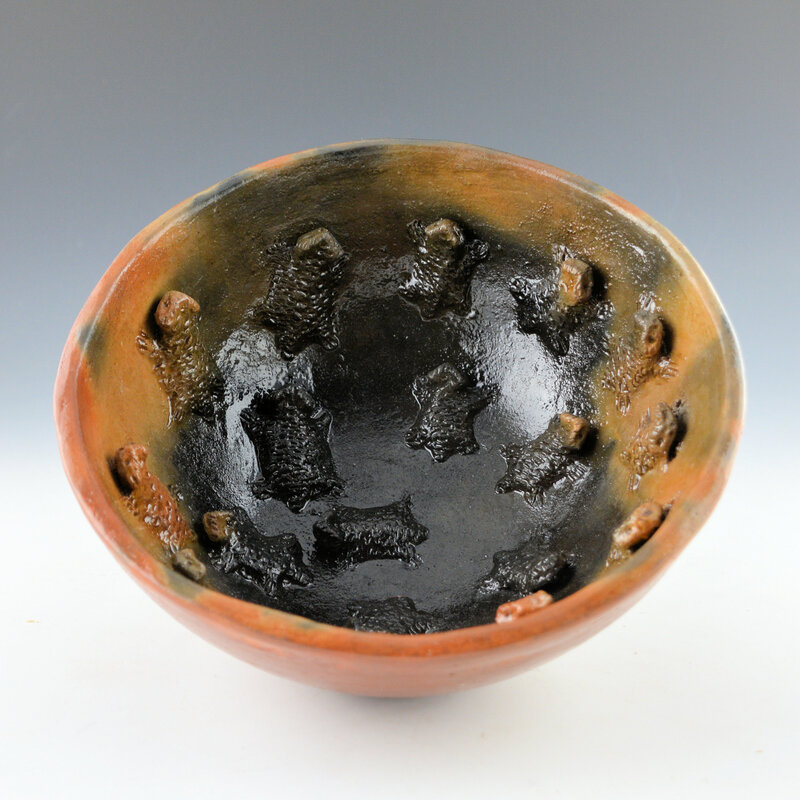 The piece is signed on the bottom in the clay, “BM.” Betty has won numerous awards for her pottery over the years. It can also be found in museums throughout the southwest.